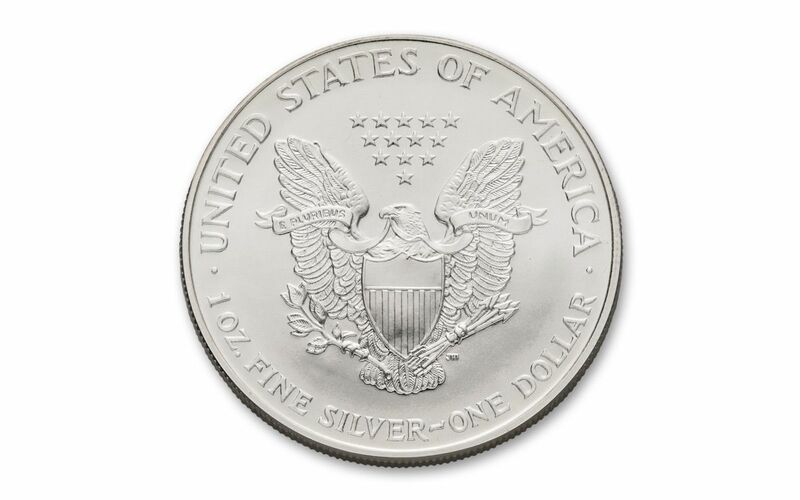 Since 1986, the American Silver Eagle has become arguably the most collected coin worldwide. Collectors are constantly seeking out the lowest mintages to add to their collections – and this may be the most sought-out of them all! 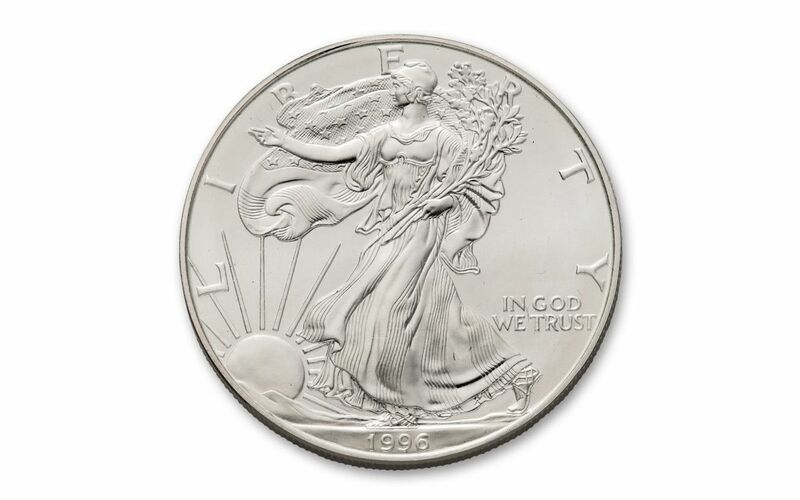 1996 saw the lowest mintage of Brilliant Uncirculated Silver Eagles – just over 3.6 million coins. Compare that to 2015, when 47 million were struck! But this is no ordinary lowest-mintage Silver Eagle. This coin has been certified by the Numismatic Guaranty Corporation (NGC) as being in flawless Mint State-70 (MS70) condition – the highest grade a coin can achieve. In addition, it comes sealed with a label hand-signed by John Mercanti, 12th Chief Engraver of the U.S. Mint and the man who designed the Silver Eagle’s reverse! NGC’s population report shows that only 295 of this limited, highly sought-after mintage have been graded perfect MS70. Of those 295, just 10 bear Mercanti’s signature. We’ve managed to track down two for our customers. This may be the holy grail of Silver Eagles. Don’t let it get away! 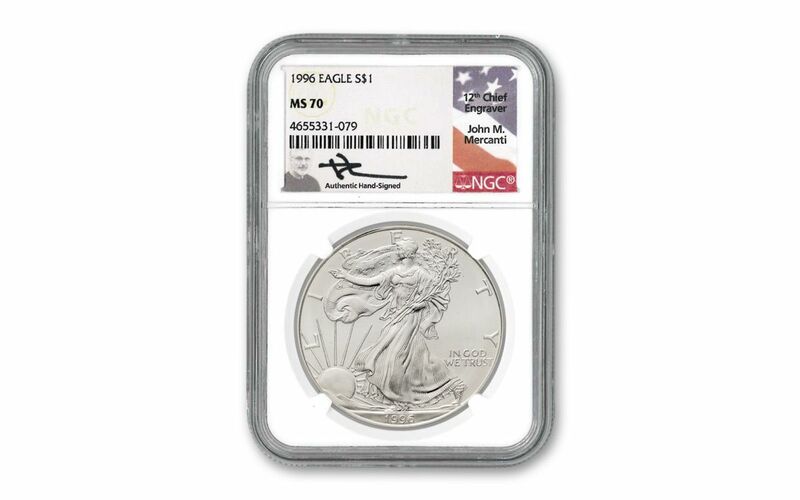 GRADED IN PERFECT UNCIRCULATED CONDITION – Your 1996 American Silver Eagle has been graded by the Numismatic Guaranty Corporation (NGC) to be in flawless Mint State-70 (MS70) condition, a distinction that means your perfectly graded coin will have ZERO imperfections – showing all features and fields exactly as the engraver and mint intended! SCARCE KEY-DATE AMERICAN EAGLE – the 1996 One-Ounce American Silver Eagle has one of the lowest mintages in the series. If that mintage NGC has graded just 295 as being in perfect MS70 condition, and just 10 of those have ever been signed by John Mercanti! 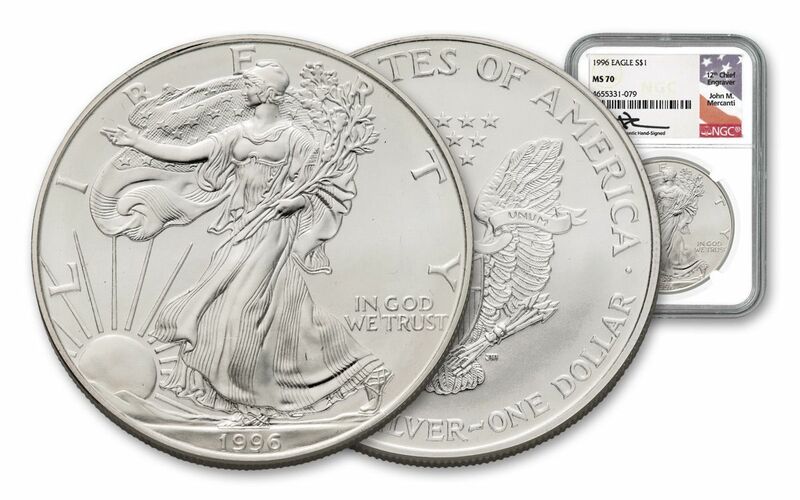 Don’t miss your opportunity to add this key-date American Silver Eagle to your collection. Click it to your cart now to avoid disappointment later!